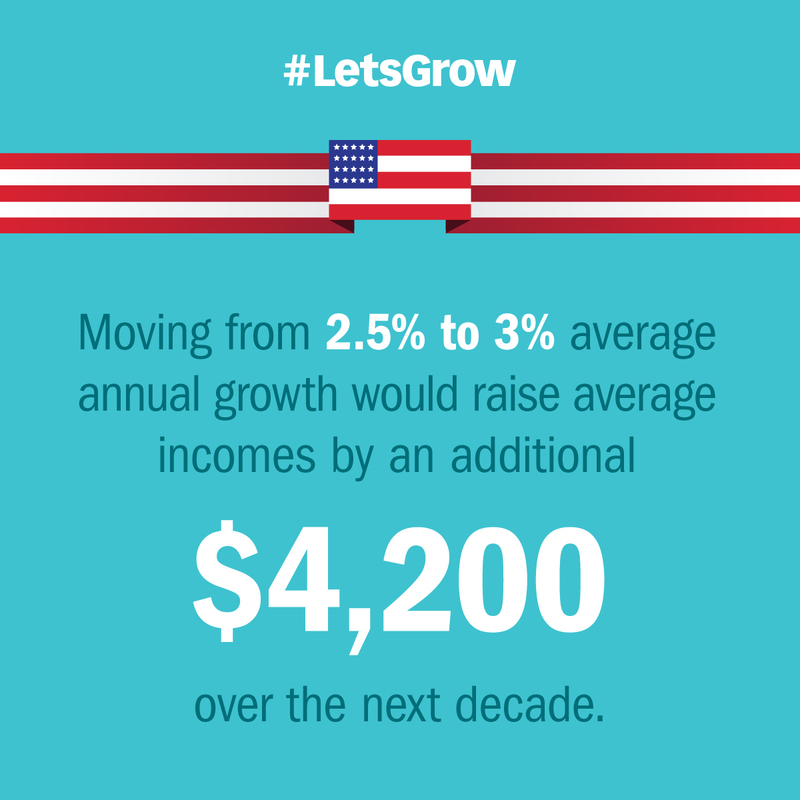 Over the past decade, the U.S. has averaged a mere 1.5% annual economic growth. It’s time to turn things around. 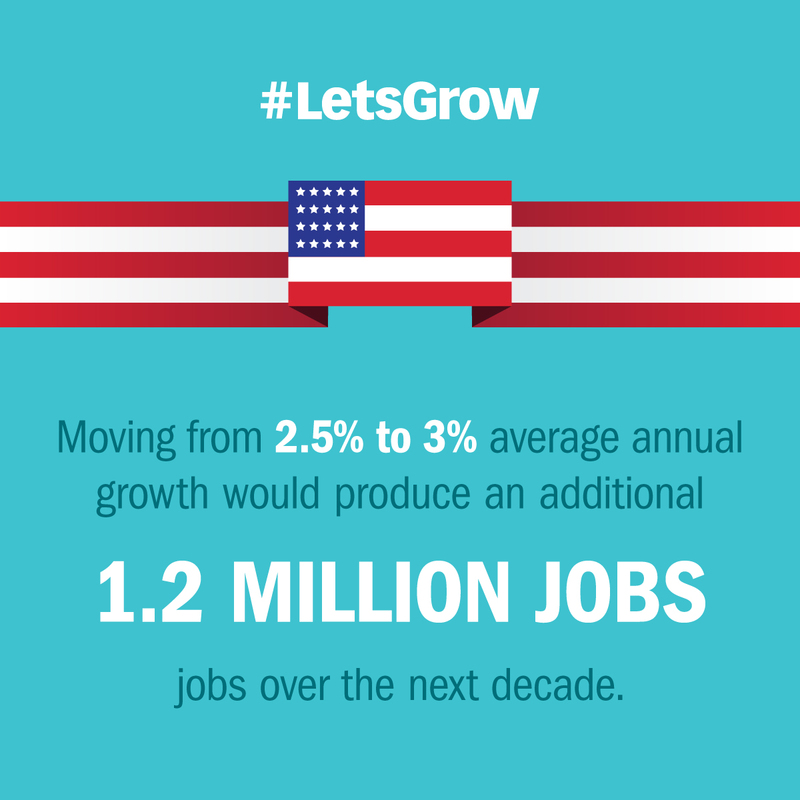 Growing the U.S. economy will create jobs, increase wages, and expand opportunities for all Americans. 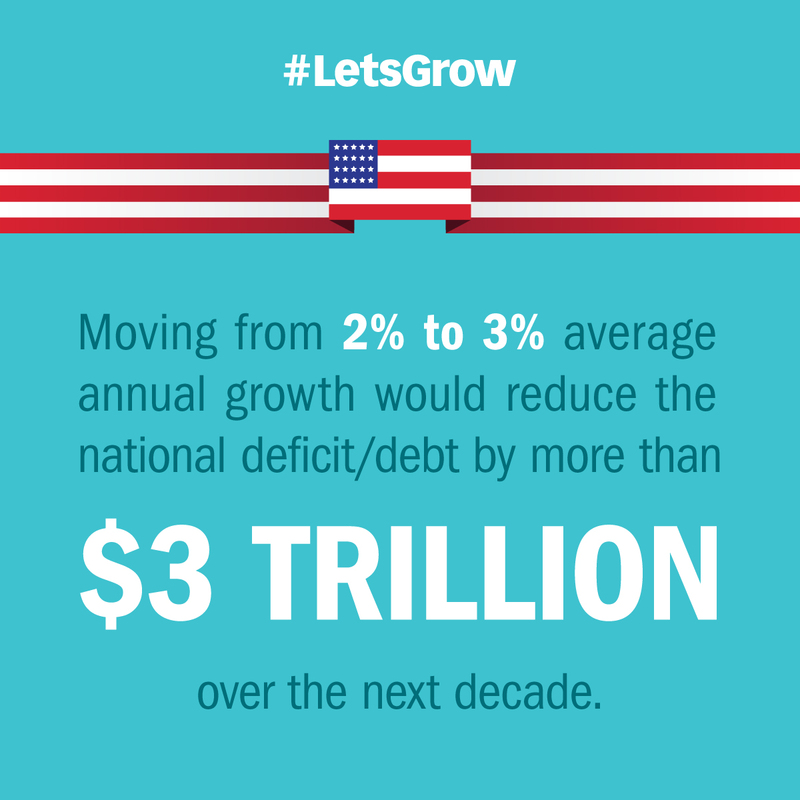 Economic growth must be our nation’s top priority. AMERICA'S JOB CREATORS HAVE SPOKEN. IT'S TIME FOR WASHINGTON TO LISTEN. This year, the U.S. Chamber of Commerce has been traveling across the country to hear directly from America’s job creators—small business owners. From Detroit to Atlanta, Chicago to Baton Rouge, American businesses are looking to Washington to create the policies that will spur economic growth across our country. How do we spur economic growth? We listen to America’s job creators. What Would Real Growth Mean? Over the past decade, U.S. annual economic growth has averaged an anemic 1.5%. That's less than half the pace of growth we experienced over the previous half century. How Do We Achieve Real Economic Growth? Reforming how government bureaucrats regulate free enterprise and cutting down on needless red tape will provide an important boost to the economy and job creation. Comprehensive tax reform is needed to create a tax environment that is increasingly pro-business and pro-growth so that we can grow our GDP, increase jobs, and reenergize the legacy of American Free Enterprise. From higher taxes on medical devices and health insurance to restrictions on health savings and flexible savings accounts, the current health care law is strangling growth. Millions of American jobs depend on America’s ability to trade with other countries. Half of all U.S. manufacturing jobs depend on exports, and 49 out of every 50 U.S. companies that ship to other countries are small businesses. Our country’s transportation system is aging and negatively affecting thousands of communities, multiple industries and job sectors. Modernizing America’s transportation network will better connect people and places, move goods more efficiently, boost our economy, and ensure our quality of life and safety. Find out what Main Street business owners had to say to Washington about the impact of overregulation on their companies. During the first 100 days of the year, we heard from more than 100 small business owners about what they're looking for from Washington. Here's what five Main Street business owners had to say to Washington about selling beyond our borders. During the first 100 days of this year, we embarked on a small business listening tour around the country. We depend on voices like yours to promote policies that will grow our economy and create jobs.